I know “hater” is a strong word, and I tried to come up with something nicer, but the truth is, I think they are just that: haters. Haters are what I call people who simply cannot be happy for another person’s successes. And what I mean by success isn’t just in your career; it’s in life. You might be a successful artist, stay-at-home mom (of whom I’m always a tad bit jealous), dancer, cook, listener, friend, athlete, writer, teacher, bookkeeper, custodian, or just simply a successful human being. But here’s my truth: I’ve never really understood haters. I think I may be abnormal, but I’ve always surrounded myself with people who are better than I am. I wanted to teach next door to the very best teacher in the school. I want to run with people who are faster than me. I want to be mentored by others who are stronger, braver, and wildly more successful than me. I don’t have feelings of inferiority around them. I want to be a part of their energy; their talents are a gift to me. But what I have found is that many people do not want to be around people who are better than they are. They actually feel threatened by others who are smarter, stronger, braver, or more talented. And for those of you that fall in this category … well, be curious and see if you might need to reconsider. Remember: you become the five people you spend the most time with. You see, all of us feel jealous of others at times. We constantly compare ourselves, our houses, our cars, our families, our paychecks, and sometimes we even act in unkind ways. But there is a difference between being a hater and being human. Haters are almost always unkind, and they will tap dance on any failure or weakness you might have. They sit on the sidelines (because you rarely find them in the arena playing the game), and they spew their venom in hopes of bringing you down so they can feel better about themselves. All of us will experience times in our lives where others will try to beat us down. People may say bad things about you or spread untruths. And let me tell you, the more you put yourself out there, the more you expose who you really are, the more successes you achieve—the more those bloody thirsty haters will come after you. What I know for sure is that in one’s quest to become successful and to have more, be more, enjoy more, there is always going to be opposition. Most of the time, people who feel the need to do this are stuck in the muck and mire of their own misery, so they will spew their venom on others in order to deflect from their own everyday struggles. Many times they are unhappy people and just by being in your energy field, they feel less, and their quick defense move is to strike out at you to make themselves feel better. They don’t feel good about themselves and when someone else is happy and succeeding in life it makes them feel less; therefore, they feel the need to criticize in an effort to make themselves feel better—which consequently, doesn’t work. But let me tell you, it can be exhausting dealing with haters. It’s still hard to hear these things no matter how old you are and it hurts some, but you have to have some knowledge and some good tools up your sleeve, so you don’t get stuck in others’ negativity. 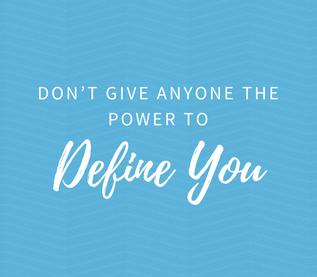 And by God, don’t let them define who you are at the core of your being. A few years ago I read The Four Agreements by Don Miquel Ruiz. Agreement #2 stated, “Don’t Take Anything Personally.” This seems like a simple concept, but it’s very difficult to practice. Ruiz writes, “Nothing others do is because of you and that what others say and do is a projection of their own reality, their own dream. When you are immune to the opinions and actions of others, you won’t be the victim of needless suffering.” At about the same time, I was talking with my mentor and he said this, “Kim, what others think of you is none of your business.” This falls right in line with what Ruiz is saying. It’s a hard one, but I believe in trying to listen to it and be aware of it. Basically, others’ opinion of you should not have power over you. Now some people’s opinions do matter. For example, my close family members and friends, whom I respect and whom I know value and love me—their opinions, advice, and insight can be valuable. (By the way, their names fit on a 1 inch by 1 inch piece of paper.) Sometimes you need another person’s perspective in order to grow, as long as it is delivered in a loving way with good intentions. But, there will be a lot of people whose opinions you must tuck away in their proper place. Honestly, I have really struggled with this in my life. For whatever reason, in the past I’ve allowed other people’s negativity towards me determine how I feel about myself and at times in the past, I have let others decide my self-worth. But, I have grown and I’m still growing, and I’ve been learning that others’ treatment of me is usually about them and has nothing to do with me. Actually I’ve been studying about this for the past several years because I’ve been so hurt by some people’s judgments and accusations. At times, I’ve really beat myself up over what others think, but I am now grateful for the experiences (for the most part … there are a few I think I could live without), and I believe some of my negative experiences with people have propelled me to reach for more and to grow—although growing is sometimes painful at first. These growing pains and hurtful experiences have actually been a huge part of my learning and my successes, so in essence, as I look back at some of the hard times in my life where I was judged harshly, I can see that these experiences were of great value and aided in my learning and growth as a spiritual being. I am learning that there’s always a bigger picture being painted even if I don’t yet know the end result. Every experience counts and can be meaningful in shaping our lives in some way. I believe that every experience appears before us to teach us more about ourselves, and sometimes they are exactly what you needed to happen to get you to where you needed to go in the first place. At times when I’ve put so much value into others’ opinions, I found that I became an actor, willing to please, perform and perfect at the expense of losing my authentic self. Now don’t get me wrong: I still want people to like me and admire me, and I have my periods of negativity too, but my self-worth is no longer on the table. I know that I’m far more than an amazing or not-so-amazing presentation; a day when I’m a great mom or a day when I’ve failed at parenting; my salary, the home I live in and so on. I’m SO much more than any of these things and you are too. Yes it will be difficult when things don’t turn out the way I want them to, but my effort is about what I do, not who I am. Regardless of the outcome, at the end of the day I know that I’ve dared greatly and that’s aligned with my values and who I want to be. I want to be courageous and live a life that includes all of the above … disappointments and accomplishments, sadness and joy, successes and failures. What I’m finally coming to understand at age 41 is that I’m not interested in the haters anymore. They don’t get to define what I know about who I am, my inner core and the soul of what makes me ME. At the end of the day, I get to chose who I am just like you do. You get to choose if you will allow the words and actions of others to affect you and your destiny. Doesn’t it feel good to know you have a choice? Well said. Such a great piece of advice indeed, and it opens the door to a whole new world. Once you realise it’s not about you, once you realise “haters gotta hate”, and it’s just that you happened to be there in their field of action, it FREES you to keep living your life and being the best version of yourself. Me too me too me too!! I thought this throughout as I read this blog entry! It takes me back to probably grade school (?) when I was reminded, gently, of course, to not worry about “what your neighbor was doing/not doing” and to keep my mind on my own business!